Maria's Space: From Sad To Glad - Car Washes Were A Thing To Fear? From Sad To Glad - Car Washes Were A Thing To Fear? 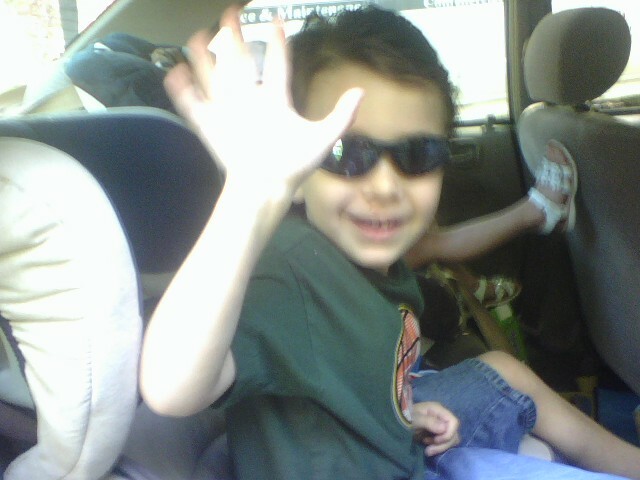 May 2008 was full of parks, farms, the library and the occasional trip to the car wash. 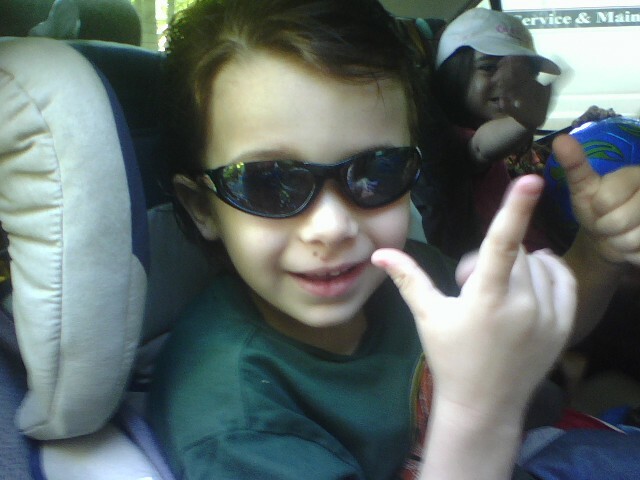 While my daughter thinks it is cool now she used to be afraid of the car wash. 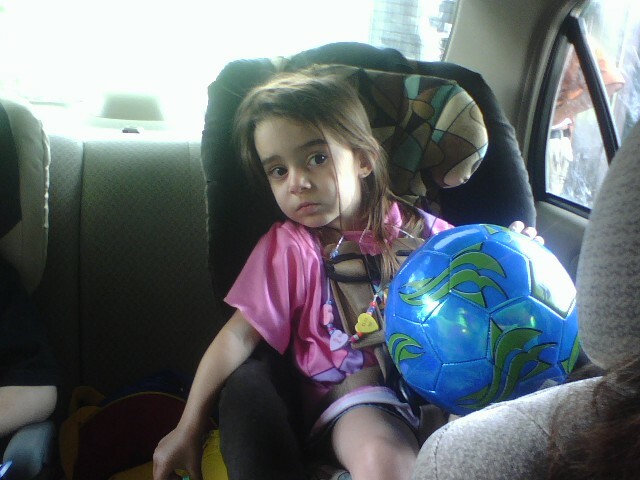 Here is her face as we headed in. She was having none of it and I was gearing up for my quick pep talk through the car wash telling her it was going to be okay and the car needed a bath just like she gets one every night. She is totally listening to my words and once we got through she was fine but the look of apprehension on her face says it all. My son looks tired although I think it had more to do with the fact that it would be too dark to look at the pictures in his book and too loud to hear the radio. 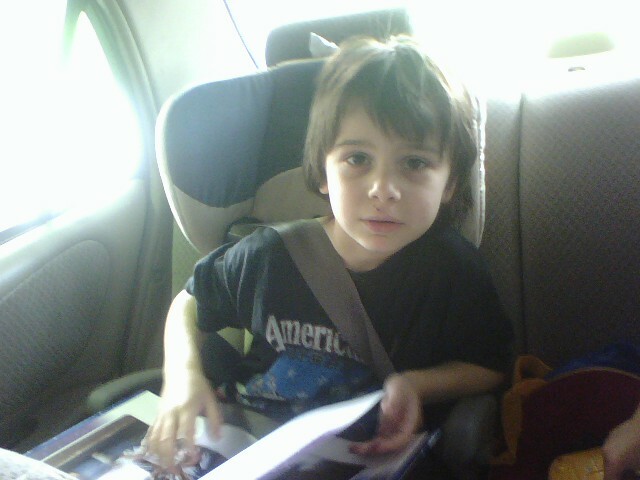 He always had a book opened in the car and still does. If he isn't zoning out looking out the window he is reading. I was exactly the same as a kid. 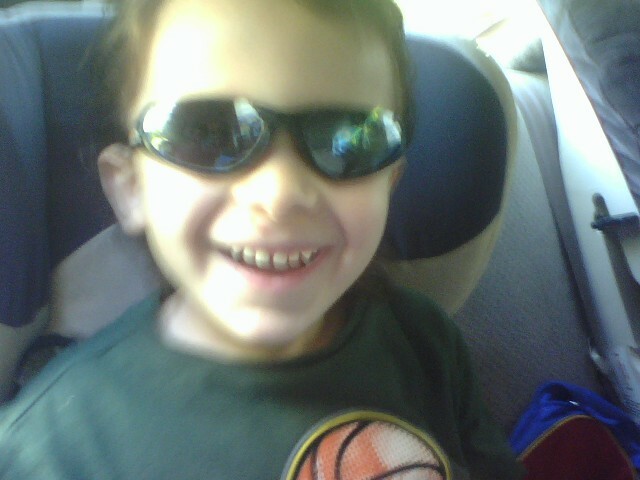 Hat and glasses on! All is well. 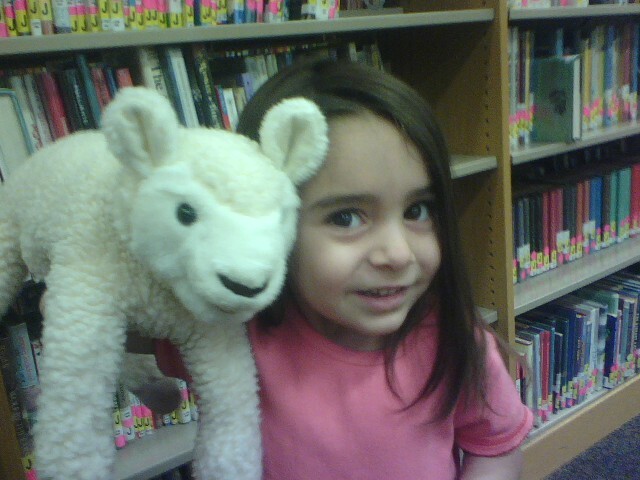 We are out of there and heading to the library for a 3 year old's version of a puppet show with a lamb. 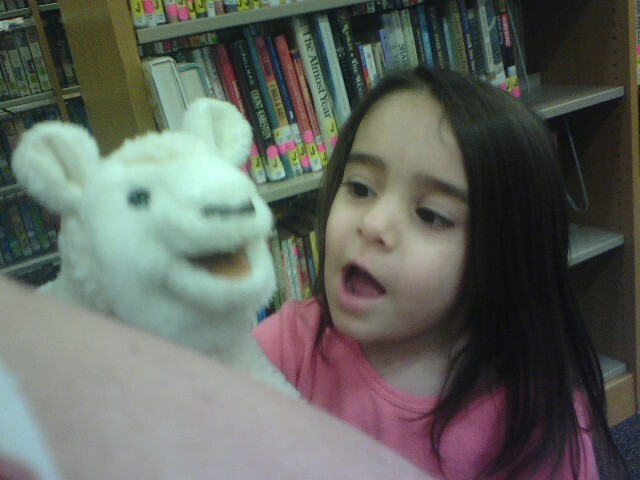 Wish I knew what she was saying.